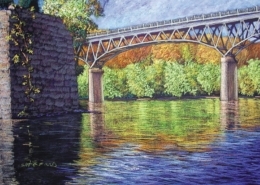 Since its founding in 1762 as Mecklenburg, Shepherdstown has made its home on the historic Potomac River. On the river’s banks the first settlement grew and from its shores transportation flowed. It was from the south side of the “Potomack”, with George Washington looking on, that James Rumsey launched the first steamboat, twenty years ahead of Robert Fulton. 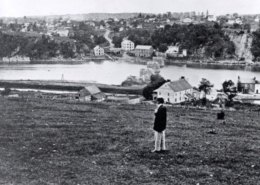 On the riverfront, Abraham Shepherd built a cluster of structures that housed Shepherdstown’s first commercial enterprises. The Shepherdstown Riverfront Project seeks to sustain the vibrant role of the riverfront into the third century of this community. 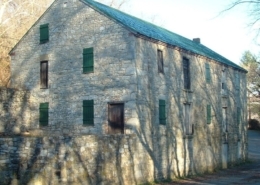 Our lead project is to preserve and restore the last remaining commercial structure on the riverfront, the three-story, stone Mecklenburg Tobacco Warehouse, circa 1788. Through the process of conservation, we hope to foster a spirit of stewardship within the community, and to explore new interpretations of the inseparable history of the river and town for the benefit of the community and for visitors, creating beautiful and accessible sites, in the Warehouse and on the surrounding grounds, for civic and recreational activities. The Project is building on a vision that town government and local groups have nurtured since the 1970’s and has now gained the partners, community support and seed funding to assure its success. It is jointly sponsored by of the Corporation of Shepherdstown, which owns the Tobacco Warehouse, the National Park Service, whose C&O Canal Park is richly connected to the history of this site, and Friends of the Shepherdstown Riverfront, a 501 ( c ) ( 3 ) organization. 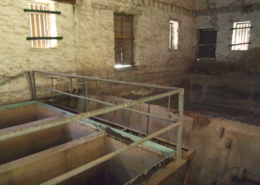 Seed funding has been provided by the West Virginia legislature, the Historic Shepherdstown Commission and friends of the project. Consultation with the community on possible uses. Currently, these include town offices; a community “great room” for performances, exhibits and events; and resources for boating and picnicking. The next priority of the project is to develop the significant funding that is needed to restore the Tobacco Warehouse to full use, enhance the surrounding land and provide permanent financial viability.